George Herman Ruth Jr. was born on February 6, 1895, in Baltimore, Maryland. 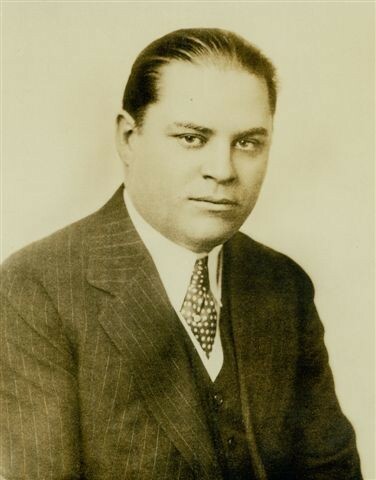 Ruth was raised in a poor neighborhood in Baltimore, where his parents, Kate Schamberger-Ruth and George Herman Ruth Sr., owned a small tavern. At the age of 7, Ruth, who was always causing trouble, became too much for his busy parents to handle and he was constantly getting caught wandering the dockyards, drinking, chewing tobacco and taunting local police officers. Because of his erratic behavior, Ruth’s family sent him to St. Mary’s Industrial School for Boys, a Catholic orphanage and reformatory that became Ruth’s home for the next 12 years of his life. A monk named Brother Matthias would instantly connect with the young Ruth and he would soon become a father figure for him. Ruth was introduced to the game of baseball by Brother Mathias as a 15-year-old and was a stellar hitter and pitcher, displaying talent beyond his years. While pitching, Ruth caught the attention of a man named Jack Dunn, the owner of the minor league Baltimore Orioles. At the time, the Orioles were a feeder team for the Boston Red Sox and Dunn would sign Ruth to a contract. Ruth needed a guardian’s signature on his contract so Dunn signed it, making Dunn his legal guardian. Ruth’s teammates would playfully refer to him as “Dunn’s new babe.” The joke stuck, and Ruth gained the nickname “Babe” Ruth. Ruth would not play with Baltimore for very long and would soon be called up to the Red Sox. During the next five years with the club, Ruth led the Red Sox to three World Series Championships, including the 1916 title in which he pitched a record 13 scoreless innings in one game (a record that still stands to this day). Ruth would also set a record pitching 29 2/3 consecutive scoreless innings in the World Series, a record that would stand for 43 years before the great Whitey Ford broke it in 1961. Ruth’s career as a Red Sox pitcher infamously ended when Red Sox owner Harry Frazee fell upon financial hardships and needed money desperately. Enter New York Yankees. Frazee agreed to sell Ruth to the Yankees for the then-impressive sum of $100,000 and a $300,000 mortgage on Fenway Park. Little did Frazee know, Ruth would go on to revolutionalize the game of baseball. In his time with New York, Ruth ditched pitching after establishing himself as the best left-handed pitcher in the game and went on to change the way baseball as a whole was played. Ruth began to hit home runs in numbers that no one could have ever dreamed was possible. In his first season with the Yankees, he crushed 54 home runs and would hit 59 the next (leading the bigs in homers both times). From then on Ruth would lead baseball in home runs eight more times, runs seven times, walks 11 times, on-base percentage nine times, slugging percentage, OPS, and OPS+ 11 times each, and in total bases five times. Ruth hit over .300 13 times with the Yankees and would hit over .370 six times (including one season in which he hit .393). Ruth won the MVP Award in 1923 and would have won more had there not been a rule against it at the time. Ruth would also set the record for home runs in a season at 60, a mark that would stand until 1961 when Roger Maris would break it with the help of a now 162 Game season. Ruth became a worldwide and international superstar and an American icon like baseball had never seen before or has ever seen since. Babe Ruth became a household name and would garner dozens of nicknames such as “The Great Bambino”, “The Sultan of Swat”, “The Colossus of Clout”, “The Titan of Terror”, and “The King Of Crash”, “The King of Ding”, “The Exhaulter Ruler of the Four Base Wallop”, The Behemoth of Bust”, “The Maharajah of Mash”, “The Wazir of Wham”, “The Wali of Wallop”, and the “Rajah of Rap” . Ruth retired after completely rewriting the Major League record books. Ruth broke the record for the most years leading a league in home runs (12), most total bases in a season (457), and highest slugging percentage for a season (.847). Ruth hit a legendary total of 714 home runs, a mark that stood until 1974 when Hank Aaron of the Atlanta Braves surpassed him. Ruth finished his career with a .342 batting average and 182.5 WAR. Ruth ended his Major League as a 40-year-old after leaving the Yankees as a 39-year old followed by a mostly unimpressive 28 game stint with the Boston Braves. On May 25, 1935, Ruth, who was a mere shell of his former self, reminded fans of his greatness one last time when hit three home runs in a single game at Forbes Field in Pittsburgh, Pennsylvania. Ruth officially retired the following week and became one of the first five players inducted into the Baseball Hall of Fame in 1936. Ruth revolutionized Major League Baseball and popularized the home run like no player ever has or will again. Ruth could have easily remained a pitcher and would have gone down as one of the greatest left-handed pitchers of all-time, but he decided to become an outfielder and changed the very way that baseball was played forever. Babe Ruth had a lasting and incredible impact on the game of baseball and his legacy will live on forever in the hearts and minds of baseball fans all across the world.